And once again, how is this any different than what the Democrats did when they were in control? Your high standard of conduct for the Republican Party is mighty instructive. Not exactly ready for Prime Time, or even for blog exposure, but mighty instructive. Henery, I am 64 years of age. This is the first time I have commented re: this particular post of Mr. Williamson's. I can remember very well back to the late 1950s in this county. I can remember when Broyhill was elected to the US House in the early '60s to represent this district. I can remember the times when the NC legislature redrew this district in their obvious efforts to weaken Mr. Broyhill's support to be re-elected. Yet, every time they failed, because to many voters, it was obvious what the Democratic-controlled NC legislature was trying to accomplish. BTW, I am Karen Carter. I was born and grew up in this county. JW, I hope you will have the decency to post my comment. Not sure what Anony's point is. Something along the lines of "Now it's our turn to screw you ha ha? ". Dems across the nation seem to have been blindsided by the below the radar push by the Kochs, Art Pope, Rove, etc., to seize control of the re-gerrymandering process at the state level in so many places in 2010. It's hard to understand how that could happen, considering that TX was a case study during the Bush years. Not sure I (or our republic as we know it) will still be around in 2020 but I hope in someone's suspense file at the DNC they are keeping the lesson that state politics are important, that the party with the majority controls the re-gerrymander, and that it's important for the Dems to step up and play the game. In an ideal America every state would have neutral, apolitical commissions to draw the congressional boundaries but...don't count on it happening this decade and certainly not in NC which has now gone the way of the Deep South and surrendered legislative and gubernatorial power to the GOPers who will use every devious method to hold on to it. If/when the SCOTUS invalidates the Voting Rights Act, every vestige of fairness in redistricting will disappear. The only solution is, VOTE, every time, every chance you get, and stand up for the widest possible access to the polls for EVERY qualified citizen. No, Brushfire. It is just that these past conditions have been a longtime process. And now, the Dems are complaining, because they claim the same is being perpetrated on them. Is brotherdoc urging his fellow Democrats to vote early and often and even after they die in every election. It seems many of them use the tactics already. So what's your solution Anonymous? Are you OK with the current setup? Either the current set up or a computer generated map that designs equal population sized districts in the most compact area possible, even if the line runs down the center of Main Street in some city. The only criteria is population numbers. No other input is allowed and the map is generated with a bipartisan group witnessing the process. Both side have an opportunity to test the program with contrived data bases that they provide to insure no tampering has happened with the program. Anonymous, do you have any evedence to back up your claim of democratic voter fraud? Go to the archives of the High Country Press and read the irrefutable truth of the advantages given to Boone residents in early voting. This was legal but it was fraudulent. They are not mutually exclusive. So anon,, you are OK with a system rigged against Dems, but not the other way round. At least you are honest. I do agree that a computer generated system to design equal population districts makes sense. But the districts should incorporate areas with common interests. Splitting a neighborhood is ridiculous. You can't get good representation if your representative has conflicting interests. 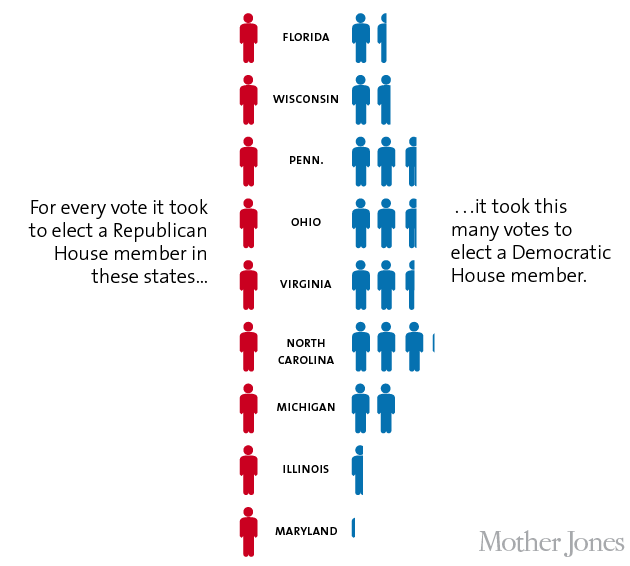 And packing all Democratic (or Republican) votes together in defiance of natural districts is dishonest. Not what I said at all Brushfire. Read the suggestion about computer generated voting districts with no input from either party. It is not dishonest, it is fair. "This was legal but it was fraudulent." Care to elaborate on that? Fraudulent in what way? Who committed fraud? You just don't want ASU students to vote. It is fraudulent to make it easy for a select group of people to be able to vote and not give every voter the same opportunity. Boone residents had two polling places easily available for 12.5 days. Voters out in the county had only one poll open for three days. Don't give me any trash about how the county voters could have come into Bone. The Boone voters, including ASU students, could just have easily went out into the county. The choices for where the early voting polls were open were blatantly made to give liberals a political advantage. I'm a county voter who has to drive through Boone to go to work every day. It's MUCH easier for me to vote in town than to go out of my way to the polling place. Anon, we agree about districting, except I do believe natural boundaries should apply as much as possible. Eg, no carving up neighborhoods. The computer should make the districts equal and as compact as possible. This puts most neighborhoods together, but if they get split, so be it. I do not drive through Boone to go to work. Why should you and those that live in Boone get preferential treatment over me. Could it be because you are liberal? How far is it from your regular polling place to the courthouse? How far is it from the courthouse to your regular polling place? Its the same distance = what a shock! This proves it is no harder for those in Boone to go out in the county than it is for those in the county to go to Boone.